Campus radio station WRHU 88.7 FM was named a finalist in the 2016 CBI (College Broadcasters, Inc.) National Student Production Awards. Winners will be announced at an awards ceremony during the annual National Student Electronic Media Convention in Philadelphia on Oct. 20-22. CBI represents more than 200 active student media outlets in radio and television. 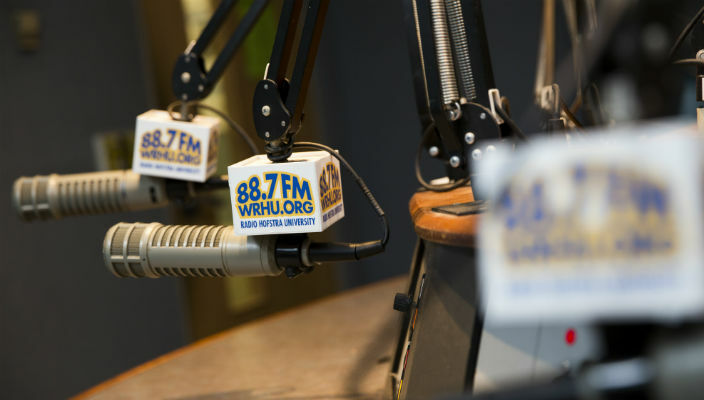 WRHU is Hofstra’s award-winning student-run radio station, with studios in the Lawrence Herbert School of Communication. It was named non-commercial radio station of the year by the National Association of Broadcasters in the prestigious Marconi Awards competition in 2014, and was ranked the best college radio station in the nation by the Princeton Review for 2015 and 2016. WRHU’s student reporters have won honors from the New York State Associated Press Association, the Press Club of Long Island, the Society of Professional Journalists, and New York Women in Communications, among others. WRHU has also been the flagship station of the New York Islanders since 2010, and is the first and only college radio station to have an exclusive broadcasting agreement with a professional major-league sports team.